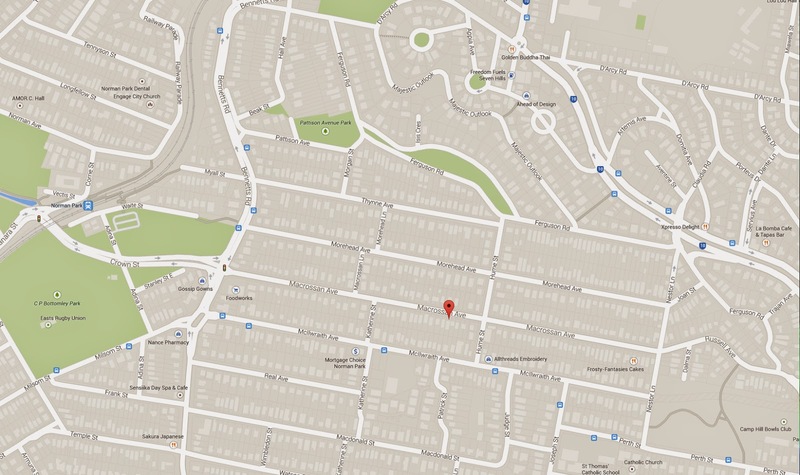 This is the second in the trio of Norman Park streets that start with the letter M - Macrossan Avenue, the next street north of McIlwraith Avenue. This was the street on which my cousins lived for many years from the 1950s onwards. The street is now a very busy through-road that takes traffic from Carina and Seven Hills to Coorparoo and East Brisbane and vice versa. When I used to go there regularly I could join my cousins and all their neighbours for games of street cricket - we only had to remember our made-up cricket rules, not traffic rules. Macrossan Avenue is named after another Queensland politician and a contemporary of Thomas McIlwraith's, John Murtagh Macrossan. An Irish Catholic, Macrossan came to the Queensland parliament after being a miner in Victoria, New South Wales, New Zealand and Queensland. 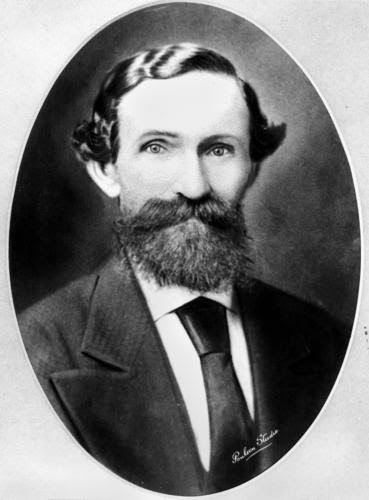 He organised the Ravenswood Miners' Protection Association in North Queensland to make representations to the state government concerning the rights of miners. One might think that he would have become a Labor parliamentarian, but Macrossan aligned himself with McIlwraith on the conservative side. It is also a fact that he was somewhat of an entrepreneur, having established and run newspapers in North Queensland. Here is a photograph. Macrossan was recognised as a hard-working member of parliament, and he became instrumental in legislation concerning mining and the railways. He was a powerful orator and very passionate about items that affected him personally. He supported the proposed secession of North Queensland and introduced legislation protecting workers' rights. Although extremely influential amongst conservative ranks he was twice passed over to succeed McIlwraith for the leadership. Like McIlwraith, Macrossan was a fervent federationist and attended the conference called by Sir Henry Parkes in Melbourne in 1890. He is listed as being in the following photograph of delegates to but I cannot identify him. 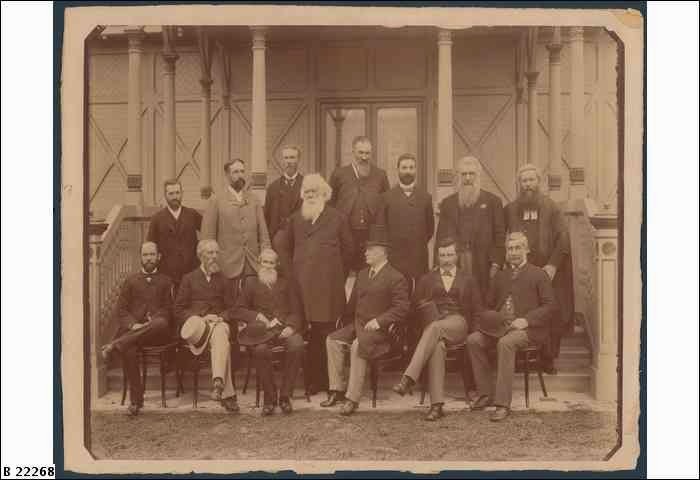 Sir Henry Parkes, known as the Father of Federation, is the man with the large white beard standing in the middle of the picture. Macrossan was then chosen to accompany Sir Samuel Griffith to the Australian National Convention in Sydney in March 1891. It was at this gathering that Macrossan passed away following an attack of bronchitis. However, the Macrossan name lived on - two of his sons, Hugh and Neal, became Chief Justices and other descendents have also become prominent lawyers. There are streets named after him all over North Queensland - in Ravenswood, of course, but also Townsville, Mackay and Ingham, for example. Macrossan Street is also the main thoroughfare in Port Douglas.